Home > Management > Marketing is not a mantra. It’s core to the product. Marketing is not a mantra. It’s core to the product. Aircraft touches down on Runway 27 at Delhi airport. 10 minutes later, passengers begin to leave, descending the stairs placed next to the two open doors. As passengers alight, luggage is pulled out and loaded on to tractor trolleys. The passengers board the bus to the arrival hall. Meanwhile, their luggage too has reaches the arrival hall. Within a few minutes, the last of the passengers picks up her luggage and heads out of the airport. Back at the tarmac, once the arriving passengers’ leave, the cleaning staff boards the aircraft. Carrying water, dusters, vacuum cleaners and bucket, they go about the task quickly and efficiently. Meanwhile, the technical maintenance team is busy going through the mandatory checks – tyres, wings, tail, engine, et al. Refueling is going on. The cabin crew has refreshed – two new pilots, four member cabin crew replace the crew that flew the aircraft into Delhi a few minutes back. The captain and co-pilot get busy with the checks inside the cockpit. As the tractor trolley carrying the last piece of luggage leaves the aircraft, another tractor trolley loaded with luggage of new passengers arrives. Baggage is loaded into the aircraft. Shortly, buses carrying passengers too arrive. The cabin crew greets the passengers, helping them settle down. Shortly, the boarding is completed. Captain’s voice fills the cabin: “Arm all doors. Ready to push back”. Soon, the aircraft is taxing to the runway. This is a routine all aircrafts go through, 7 to 8 times a day, across different airports. In fact, as you may have noticed, between the time an aircraft lands and the time it takes-off again, a lot of action takes place. 180 passengers depart. At least 200 pieces of luggage are unloaded. Cabin and toilets are cleaned. Food is loaded. Handovers take place. 180 new passengers arrive, settle down in the aircraft. Their luggage is loaded. Aircraft refuels and all mandatory checks are carried. After every second flight, the cabin crew changes as well. All this is in a mere 45 minutes! Why am I taking you through these details? What am I trying to convey? Marketing is what I’m trying to draw your attention to. Good airline marketing is about completing this cyclic process within 45 minutes, 8 times a day, day in day out, across all airports. “Marketing?? Can’t see the connection?” Isn’t marketing about lovely packaging, eye-catching logos, pretty models, entertaining and warm advertisements on television, those lovely sales driven offers and great-looking websites? It indeed is. Rather it is about all that as well. But core of marketing is: what the product delivers. Indigo Airline has just written a new chapter, exemplifying this simple fact. Indigo’s marketing is about repeating the cycle I described above consistently within 45 minutes, day in and day out. And doing it with obsessive fervor. This act has helped create for Indigo ‘product predictability’. As a consumer, I know what to expect: Same taste. Same quality. Surprises, none or little, and certainly not the unpleasant ones! Predictability creates trust. Imagine, finding your favourite ice-cream tasting a wee bit different every time you eat it? Or your favorite face cream causing strange sensation on your skin? Or your favourite soccer club not quite getting the predictable result each time it plays. Lack of predictability is bound to cause you to lose trust in the brand. When lots of people lose trust, the brand begins to lose business, customers and consequently, profitability. Predictability is key to creating trust. Building predictability is good marketing. And, predictability is built through consistent product delivery. All strong brands encompass predictability. Airtel. Reliable service. (It’s begun to lose it now). ICICI bank. Decent service. Great reach. Fast ATMs. Shoppers Stop. Nice range. Helpful staff. Excellent return policy. Maruti. Reliable. Fuel efficient. Low maintenance. Tremendous accessibility. Apple. Premium. Different. Classy. Outstanding performance. Indigo airline. On time, every time. Without compromising on service or comfort. Good marketing is about reaffirming the simple predictable things the brands wishes to stand for again and again. How easy is it to deliver predictability? Mighty difficult. Let’s go back to Indigo airline. How difficult it must be for them to deliver predictability? Chairman: Morning, CEO. Did we have any delays yesterday? CEO: 134 thirty-two minutes, 235 twenty, and 197 twelve. CEO: Nothing to do with the airport or the fog in Delhi. I’ve already mailed you detailed report on the 32 minutes late flight, along with Captain’s report. Chairman (checking his notes): 134 has been late the third time this month? This is serious. Please investigate further. CEO: I have already scheduled a meeting for tomorrow. Chairman: Good. Load factor yesterday? Chairman: Good. Can I expect the minutes of the meeting by tomorrow? You’ll notice very little time was spent on things that generally matter the most to CEOs – sales, cost, load factors, revenue, etc. Instead, entire conversation* between the two leaders is about punctuality, and how they keep everyone in the company focused on it. Is it surprising that the airline continues to deliver on-time performance consistently? An average of 96% punctuality in Dec 2012, yet the two leaders aren’t discussing that! Instead their attention is focussed on the 4% delayed flights! Where has this got Indigo? 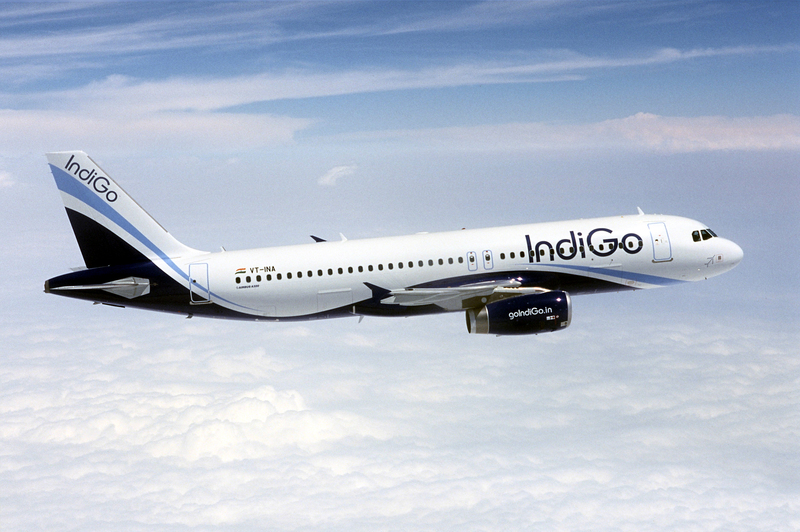 On August 17 2012, Indigo turned into India’s largest airline in India in terms of market share (27%), dethroning Jet Airways, which had held the position for many years. Just six years after its first flight! With just 58 aircrafts. Jet (and Jetlite and Jet Connect together) have 102 aircrafts now. 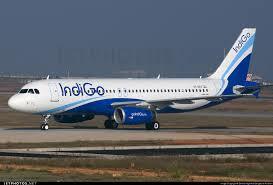 Indigo is also the most profitable. Now, even the price on an average ticket charged by ‘low-cost’ Indigo is higher than what Jet charges, even for flights where Jet serves you a meal onboard for free! Why Indigo’s strategy, intentionally or unintentionally, great marketing? Way back in 1985-86, I did my post graduation in mass communication from Delhi’s Indian Institute of Mass Communication. Our marketing subject was taken by Dr. S Neelamegham, professor from Faculty of Management Studies (FMS). He was such a wonderful teacher that to date I remember not only marketing he taught, but even the ‘definition’ of marketing, which you’ll agree, is often the most difficult thing to recall. Dr. Neelmegham summarised marketing as art and science of ‘creating a customer’. This is how his simple definition can be explained: Marketing is about creating a customer. We create a customer when someone buys what we offer. He buys because he believes the purchase will meet his need. The product, the price, the packaging, the advertising, the promotion and of course where it is sold (store), makes him believe that the product he’s buying will satisfy his needs. If the manufacturer of product or service has indeed done a good job of satisfying the buyer, the buyer will turn into a customer. When one turns into a customer, one buys the product again without being enticed to do so. And would then not only keep buying it, but also recommend it to others. When that happens, marketing would have done the intended job – create a customer. Let’s look at Kotler’s definition of marketing. Says he: “Marketing is the science and art of exploring, creating, and delivering value to satisfy the needs of a target market at a profit. Quite similar, no? Now ponder over Indigo’s strategy. Need: A no-frill airline that gets people from one city to another efficiently and comfortably, and on-time. If you notice, the underlined part of the need – ‘A no-frill airline that gets people from …’ – was being fulfilled by several airlines, including Air India/Indian Airlines. But the highlighted part – ‘on-time’, was a mere phrase in airlines’ used in the mission statement hanging on the wall in corporate office for everyone to see. (After all, how can one be in transport business without being ‘on-time’?) Unfulfilled need was ‘on-time’. That’s what Indigo filled. Without compromising on the rest. The actual performance in Dec 2012 is 96% – the best! In fact, so well has Indigo fulfilled its promise that it’s taught me a new phrase – ‘Before Time’. At least half their flights actually arrive a few minutes prior to scheduled or promised time. Amazing! You begin to appreciate it more and more when you realize that all its competitors also have the same 45 minutes between each landing and take-off. They have similar aircrafts. They operate from the same destinations, same airports, and are equally dependent on local airport staff for several services, including baggage and re-fuelling. In fact, compared especially to Jet, Indigo handles more passengers and baggage per flight – 180 seat aircrafts vs. Jet’s 150. Yet, it manages to be on time more often than Jet. Hats-off Indigo! For reminding the world how one can build a highly desirable and profitable product by sticking to basic law of marketing – ‘marketing is core to the product’. Great marketing starts and ends with a great product. Jet Airways has an exclusive program called Jet Privilege or JP. The program offers several exciting benefits. Like, lounge access at airport, priority check-in, ‘miles’ that get you free tickets, bonus miles linked to spending on credit card and miles even for shopping. I’m a member of the program now for 14 years. My status in the program: Gold for past two years, and prior to that Silver, Gold and even Platinum for two years. I have redeemed over 4L miles, equivalent of 28 Bangalore-Delhi flights worth about Rs.2L. Yet, in the past two years I have drifted to Indigo, preferring their unparalleled punctuality to the myriad privileges JP gives me. In fact, lately, I’ve even been paying a little more for an Indigo flight than a Jet flight taking-off at around the same time. Is there a lesson for loyalty programs here? I believe there is: a loyalty program helps the product, but a product is what people buy, not the loyalty program. Previous Post Sachin: The world’s greatest one-day cricketer. And why? Hello,Mr.raj,I found this article,when i searching for marketing.You are really good at Marketing.I like your article.I am also in marketing and wrote my personal blog.